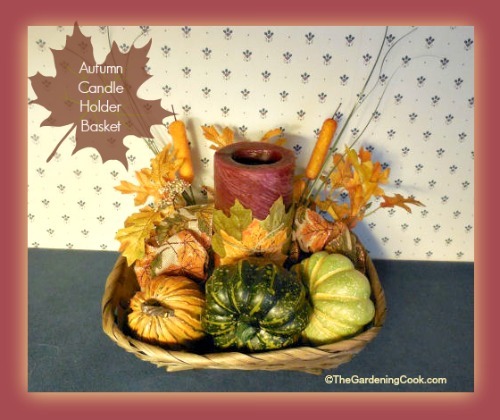 This DIY Autumn basket candle holder makes use of just a few inexpensive craft supplies and is ready to display in just minutes. When I went to the dollar store the other day, I found a nice basket for $1 that inspired this creation. 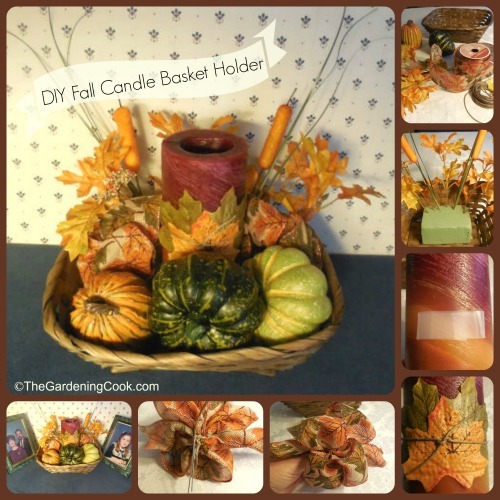 I added a roll of wire wrapped ribbon from Michael’s that was on sale for $1 and fall pick from the dollar store to it and ended up with a lovely DIY autumn basket candle holder. 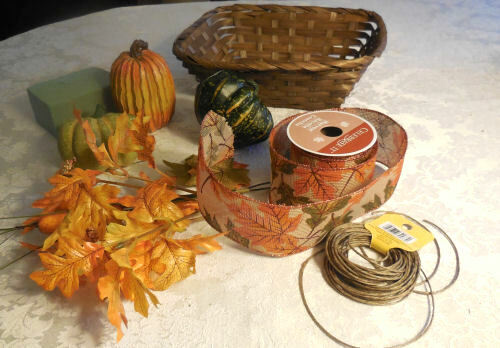 Fall is just full of colors and natural elements that make them the perfect choice for supplies to use for autumn decorating. Just like most of the decor projects that I do, this one uses part of old projects and the rest comes cheaply, usually from the Dollar store. This project cost me $2 in new supplies. Most of these items came from previous projects. 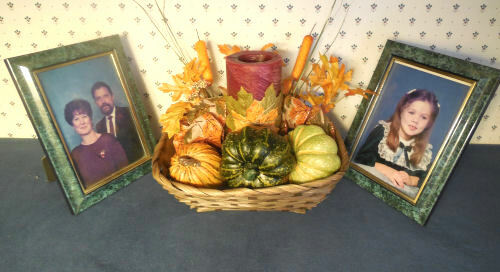 The basket was new and the fall picks were too. The foam came from the dollar store and cost me 30c. (equivalent at Michael’s when I looked was about $4. It pays to shop around. ) 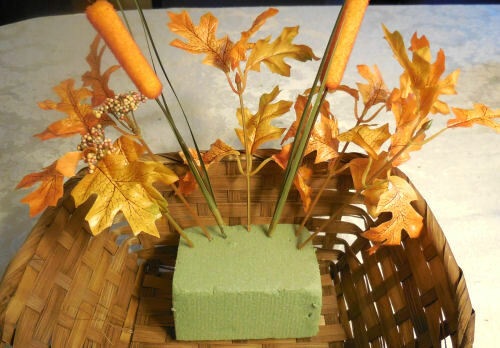 You will need a basket, some jute, a pillar candle (I had this one from last Thanksgiving) a fall pick, a few silk leaves, a piece of foam, 2 floral picks, some wire ribbon, and some inexpensive ghourds. Place the foam in the basket and arrange the pick. I cut mine apart into several sprigs with some wire cutters. 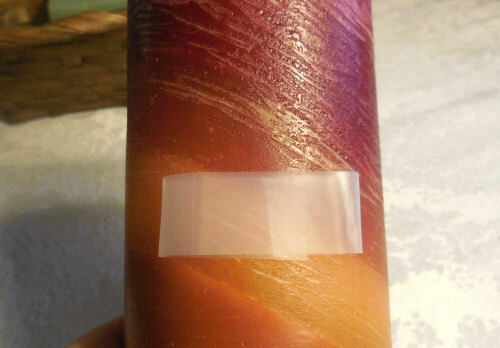 Attach some tape to the candle that is folded and sticky on both sides. 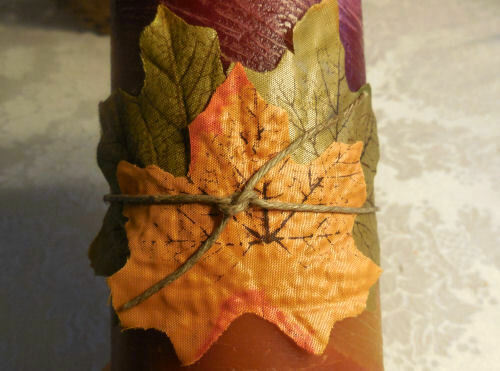 Arrange three leaves and tie them to the candle with a piece of jute. Make two small floral bows with four loops each. 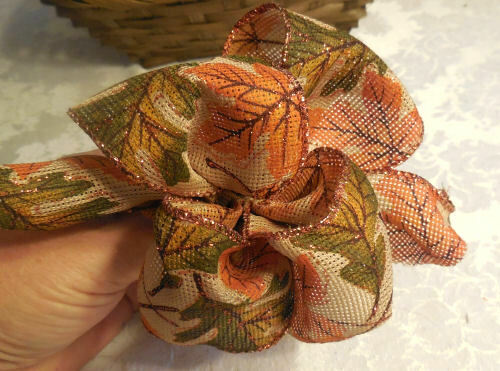 See a tutorial on how to make a floral bow at Always the Holidays. 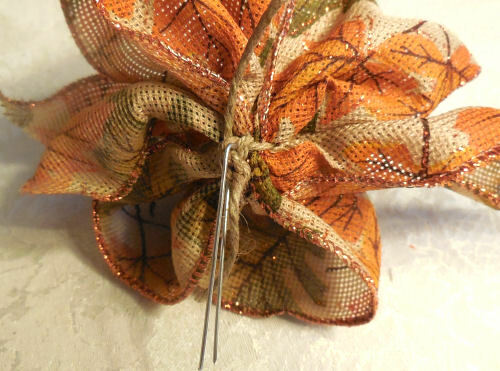 Put a floral pick into each bow so that you can pin it to the foam. 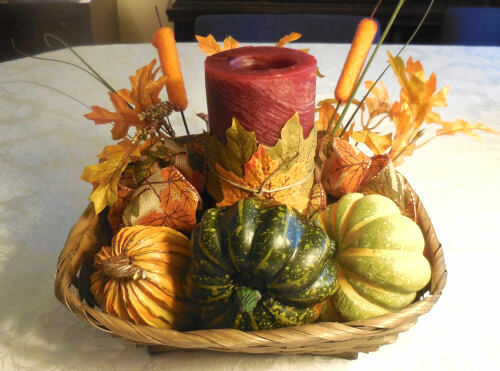 Add the bows and arrange your gourds and you are done. I saw a similar project at the craft store the other day for $20. Mine took me 10 minutes and cost less than $3! It looks nice between matching picture frames!